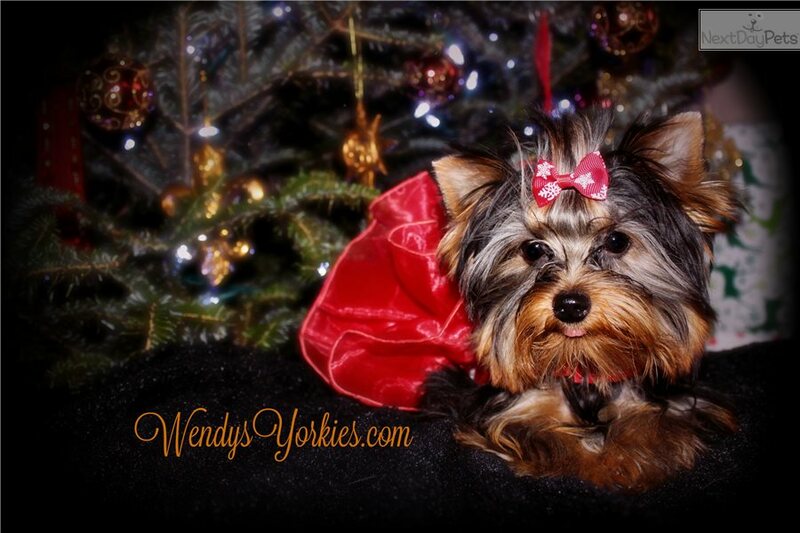 This Yorkshire Terrier - Yorkie nicknamed Abby 2.0 sold and went to a new family. 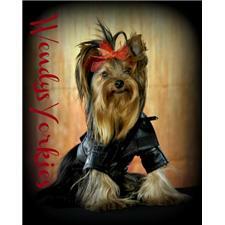 You will not find a Yorkie with a more outgoing personality, and such a fantastic disposition. Abby 2.0 is about as perfect as they come. She has fantastic hair and body style, compact, short. She is going to be tiny, estimated adult weight 3lbs. She loves giving kisses!! She will come current on vaccinations and has already started potty training and doing great! I do offer a one year health guarantee, you will also receive a custom puppy care package with lots of goodies. Visitors are welcome by appointment. I am A+ accredited with the BBB.org and I have an all 5 star reviews on my Facebook page. You are welcome to contact me with any questions or if you are ready to make this baby girl yours. Her parents are 3 1/2 and 4 1/2 lbs. I will include pictures of them also.